and was very excited to use it as a flashback photo. 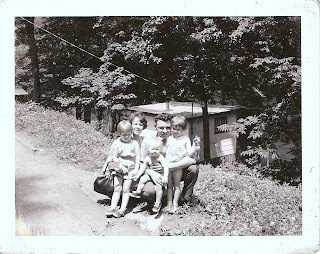 Me, Mom, Sistah, her Dad and our Aunt in West Virginia. You got a leetle ant! I don't know if you know me well enough to know I'm being funny...or trying...it's late.